Horror is ever changing, ever evolving and those artists working in the genre who have an eye for mixing things up tend to get noticed. 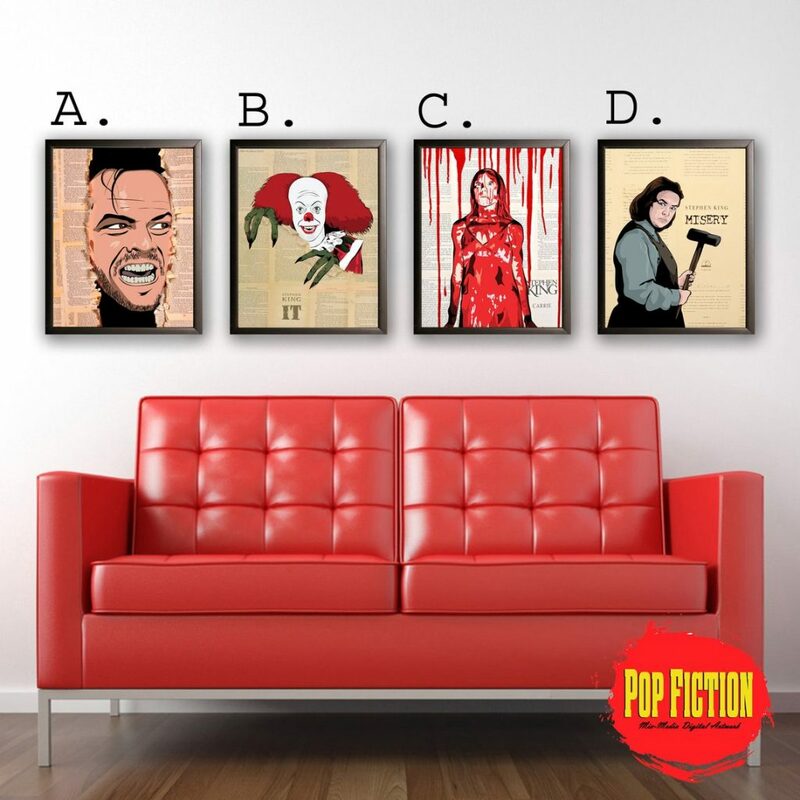 Introducing Daniel Turres, owner of Pop Fiction out of London, Ontario (Canada) who stuns with his digital mixed media art work – pieces that run the gamut of who’s who in pop culture. Turres combines digital drawings with original novels, comics and movie memorabilia repurposed for each piece. Items are available in a wide range of different sizes, from greeting cards, limited prints with a Certificate of Authenticity (5X7, 8X10, 11X14 inches, numbered and limited to 300), to a 16X20 inch original canvas of each creation (limited to the pieces still in stock) . 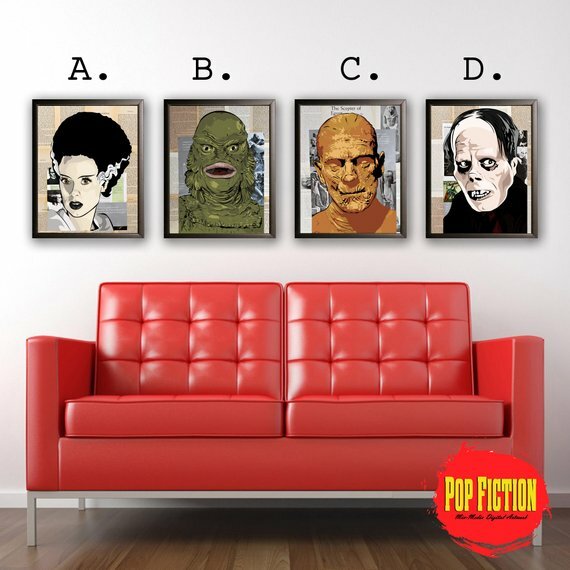 UNIVERSAL STUDIOS MONSTERS: DRACULA, FRANKENSTEIN, WOLFMAN, THE INVISIBLE MAN, BRIDE OF FRANKENSTEIN, THE MUMMY, CREATURE FROM THE BLACK LAGOON AND THE PHANTOM OF THE OPERA This selection of art pieces mixes digital art with pages from the books that berthed each monster. 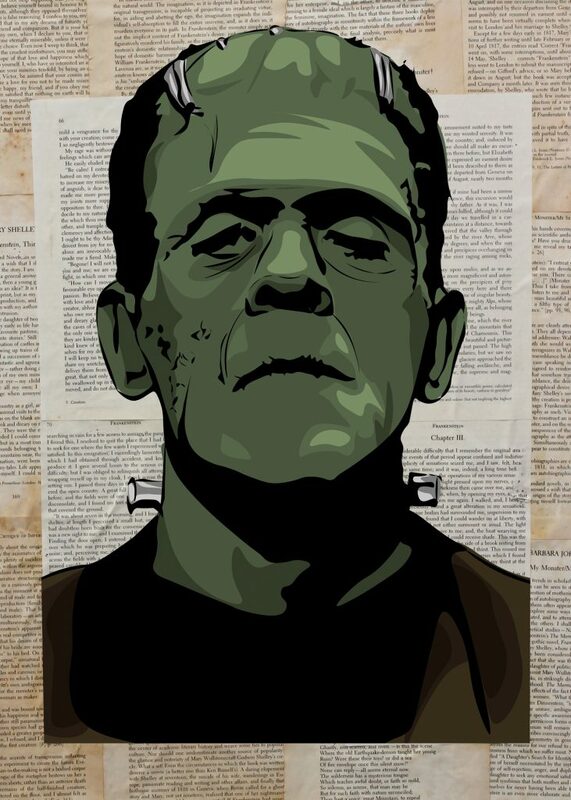 The Universal monsters come to life with the pages in which they were born. A right mixture of colour and contrast electrifies and revitalizes these classic monsters for any room. Turres shares his love (and horror) of all things Stephen King in this fearsome foursome digital art creations. 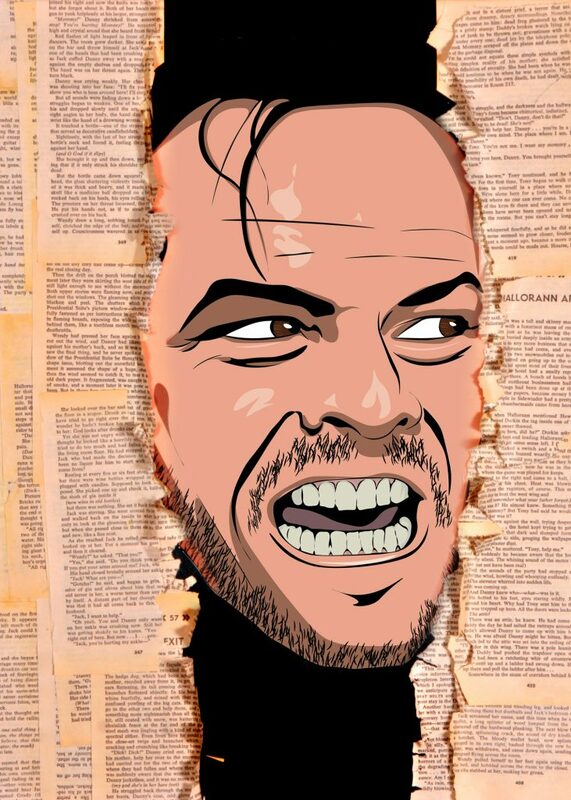 In both novel and movie forms, The Shining has been a staple of the genre and Turres pays homage to both by having Jack Torrance burst through the literal pages of a hard to find version of King’s classic. 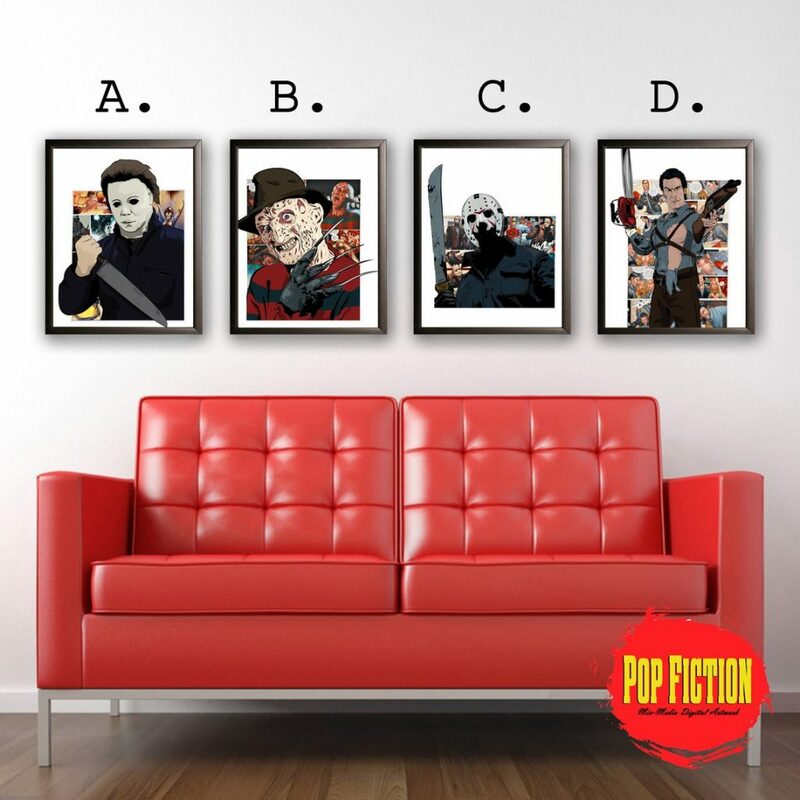 What horror post would be complete without including a group of tried and true horror icons? This time Turres uses a selection of comic book pages as backgrounds and, in the case of Chucky, DVD cover art. 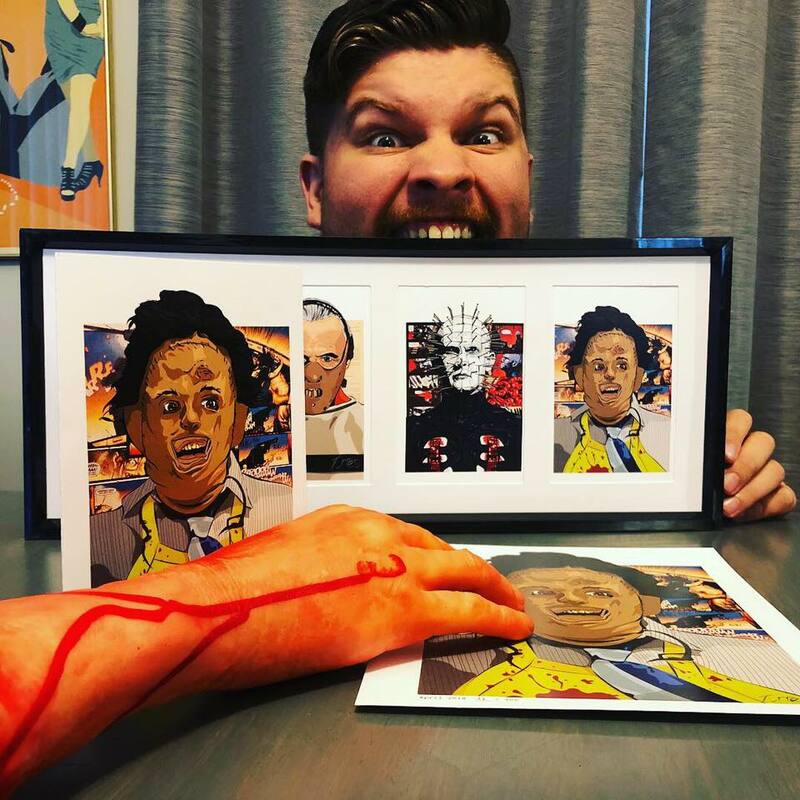 When Turres is not creating eye-stabbing er, catching pieces of art, he likes to produce comedy/horror-themed videos under his Pop Fiction moniker. Check out a small sample of his “ex-scarimental” videos below. Follow along with whatever Daniel Turres decides to create next on his social media accounts and check the Pop Fiction Etsy webpage for pricing and availability.